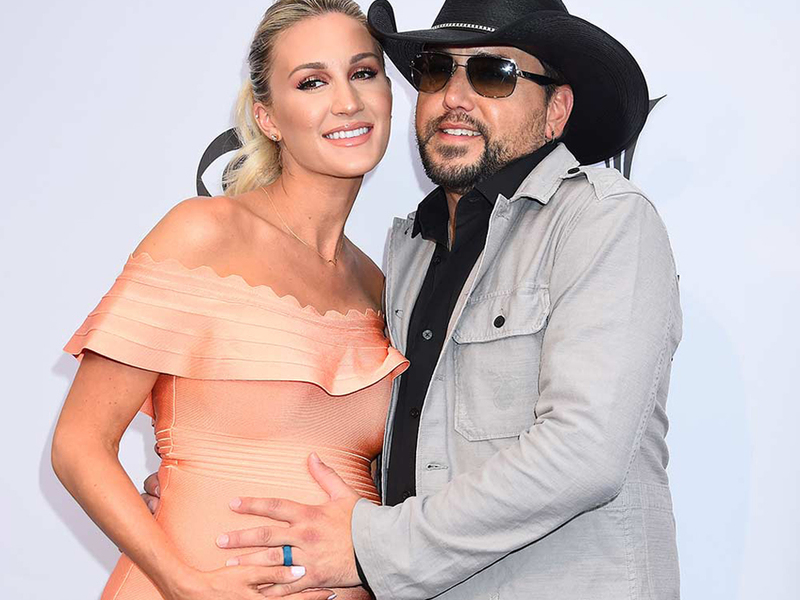 Jason Aldean and wife Brittany are expecting the birth of their first son in late November/early December. While Jason and Brittany continue planning for their upcoming bundle of joy, the couple has already taken care of one very important detail: his name, which will be Memphis. While the Tennessee city might seem like an unconventional moniker for a Georgia native to name his son, Jason revealed to Lon Helton on Westwood One’s Country Countdown USA that Elvis Presley, who moved to Memphis when he was 13 years old, helped inspire the name. “I’ve kinda been infatuated with Elvis since I was a kid, just always watching documentaries and stuff on him,” said Jason. “It had a little bit to do with that and, honestly, I just wanted him to have something that wasn’t very common. I’m sure he’s gonna meet people with the name Memphis—he won’t be the only one, but, you know, at least I think it’s unique enough where . . . it won’t be like Michael or John or, you know, Jason. And that was kinda what we were going for.